The Jeff Metcalf Internship Program provides paid, substantive internships exclusively to UChicago undergraduates during the summer and the academic year. Over 4,500 students and 1,000 employers both within the United States and abroad have benefited from the program since its inception in 1997. The Jeff Metcalf Fellows program honors Harold "Jeff" Metcalf (AM' 53), Dean of Students at the University of Chicago Graduate School of Business from 1956-1975 and Director of Athletics for the University from 1976-1981. Jeff Metcalf was also a long time member of the International House Board of Governors serving on the Development Committee. The program has been made possible by alumni, parents and friends all over the world, and it has remained true to Jeff's vision of strengthening the University's global community. Within International House, Metcalf Interns have the unique opportunity to assist with various aspects of the Global Voices Performing Arts & Lecture Series including program coordination, public relations and marketing and providing logistical support to International House. Learn more about the Metcalf Internship program. Elisa Bayoumi is a second-year in the college who lives in International House. Her family is originally from Spain, England, and Egypt, but she grew up in Washington D.C. She is a Political Science and Fundamentals double major with an interest in the nature and structure of political power. She works with the Productions and Communications teams and is a public events coordinator. "Being a Global Voices Metcalf intern has given me the opportunity to experience diverse cultures. I love that the Global Voices Program is dedicated to exposing our local community to different cultures in an effort to educate and spark conversation. I am thankful to be part of such an amazing team and program.​"
Rebecca is a second-year from Weslaco, Texas. She is pursuing a double major in Neuroscience and Psychology. Rebecca is currently a resident of International House. "Being a Global Voices Intern at International House has provided me with the opportunity to work and learn from people from many cultural backgrounds. Every event is a learning experience that allows me to gain knowledge about different parts of the world. I've always wanted to promote diversity, and working at I-House gives me the opportunity to do so." Jocelyn is a fourth-year in the College majoring in Economics and Spanish. 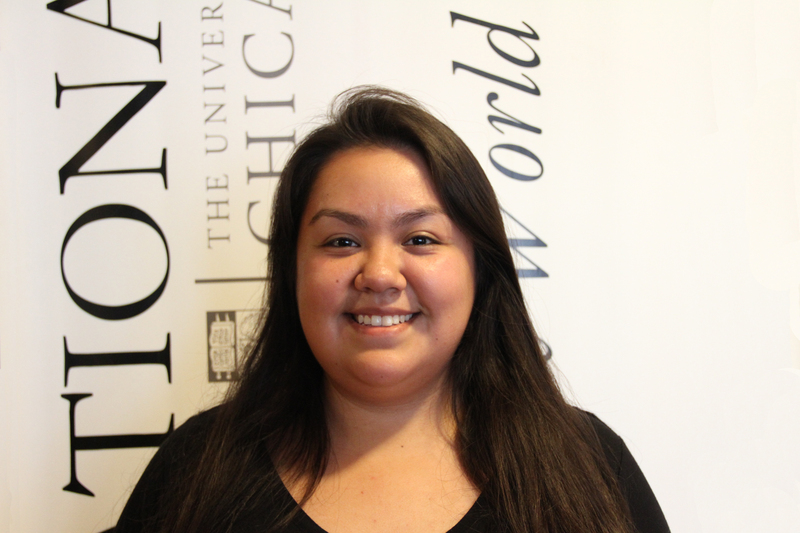 For the last two summers, she has worked with Latino and refugee populations in Chicago. She is currently one of the event coordinators and is involved with the Communications and Productions teams, and helps maintain the International House website. "I am thrilled to contribute to the Global Voices Program's effort to enhance cross-ultural understanding and promote the exchange of ideas. I can't imagine a more suitable program than the Global Voices Program that enriches the University, the local community, and the City of Chicago by dedicating itself to celebrate diverse cultures and raise awareness of global issues." 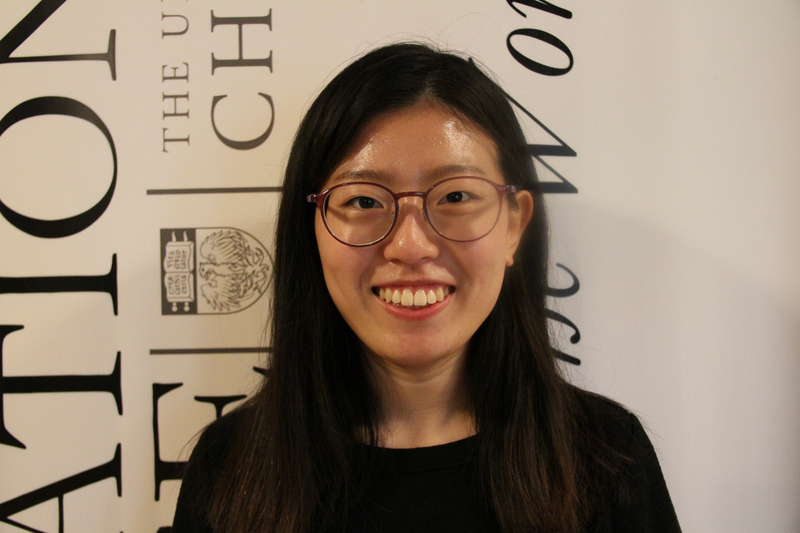 Yeonsu is a third-year Global Voices-Metcalf intern, who works with the Communications and Productions teams. She majors in History and is from Seongnam, South Korea. "As a former resident of International House, I have always enjoyed attending the various events the Global Voices Program hosts throughout the year. Now that I am one of the Metcalf Interns working for this program, I can work closely with those who come from diverse backgrounds and continue to participate in International House's unique community." 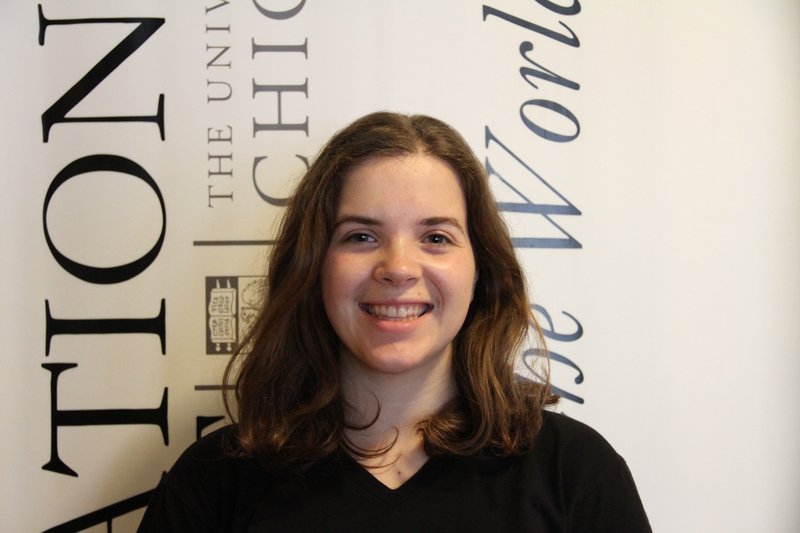 Natalie is a fourth-year in the College and from one of the suburbs of Chicago. She is currently pursuing a double major in Public Policy and Global Studies. Natalie is the Lead Production Intern, coordinating and training other interns who work on all aspects of Global Voices promotional materials including social media, graphic design, posters, videos, digital media boards, and the International House website. 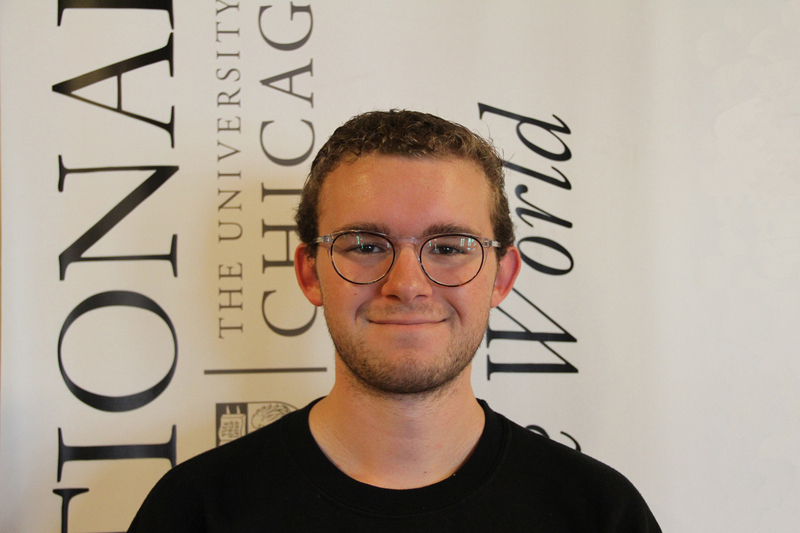 "One of my favorite things about attending UChicago is the emphasis the school places on broadening the students' worldviews. As a Global Voices Intern, I hope to further this initiative by contributing to a program that both values and enhances this fundamental aspect of global awareness and responsibility." Miranda is a first-year at the College planning on double majoring in Public Policy and Economics. She is from Chino Hills, California and helps promote Global Voices events as part of the Communications team. 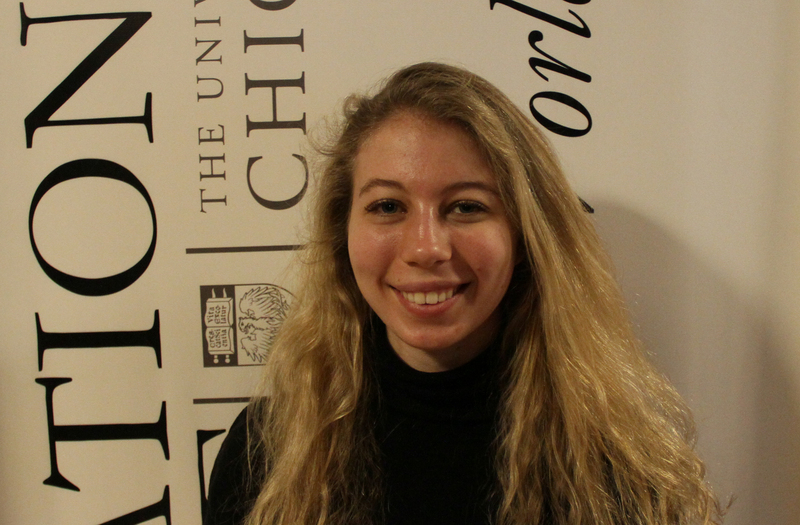 "Working as a Global Voices Metcalf intern has given me a remarkably eye-opening experience of not only the variety of events that take place right here on our campus at Chicago, but also glimpses into cultural events that occur all over the world. The utter variety of and care given to each event never ceases to amaze me, and I'm so thrilled to be part of the team." 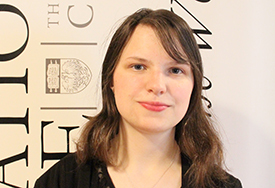 Alex is a third-year student majoring in both Psychology and English Language and Literature. He enjoys working performance events and IOP events. 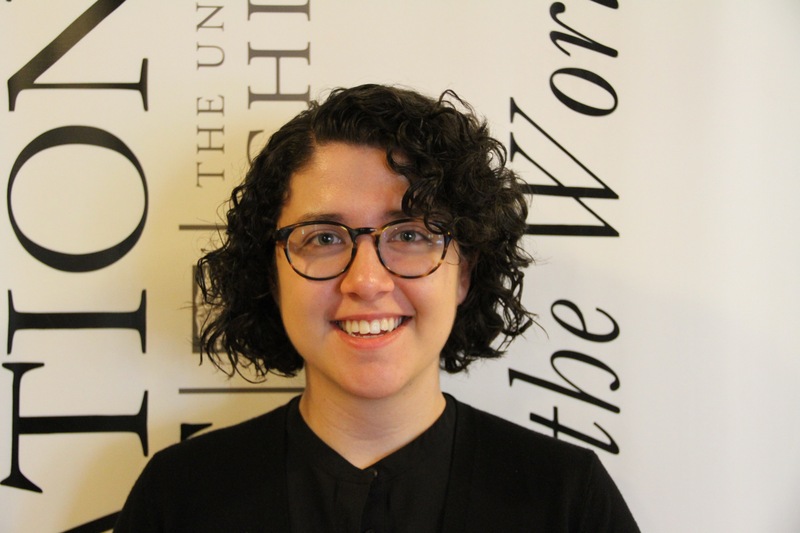 "I was excited to join the Metcalf team because I knew it would provide me with an amazing opportunity to work with an organization dedicated to the value of culture, politics, art, and community engagement. I’m so happy to have this chance to work through the university to strengthen the community." Reema is a third-year in the College studying Public Policy and Creative Writing. For the past two summers, she's worked with nonprofit organizations in Chicago and DC. As a Global Voices-Metcalf Intern, she works with the production team and is an events coordinator. "Being a Global Voices Metcalf intern has afforded me the invaluable opportunity to develop a professional skill set while contributing to the university community. I have always believed that cultural exchange fosters understanding among individuals of different backgrounds. My work at I-House allows me to be part of this process." Rena is a fourth-year from Great Neck, NY. She is pursuing a double major in Economics and Music. As the Lead Communications Intern, Rena manages the website, event promotion, and the journalism team. "Being a Metcalf Intern for the Global Voices Program has given me the opportunity to transform my passion for creating connections across cultures and fields of study into action. 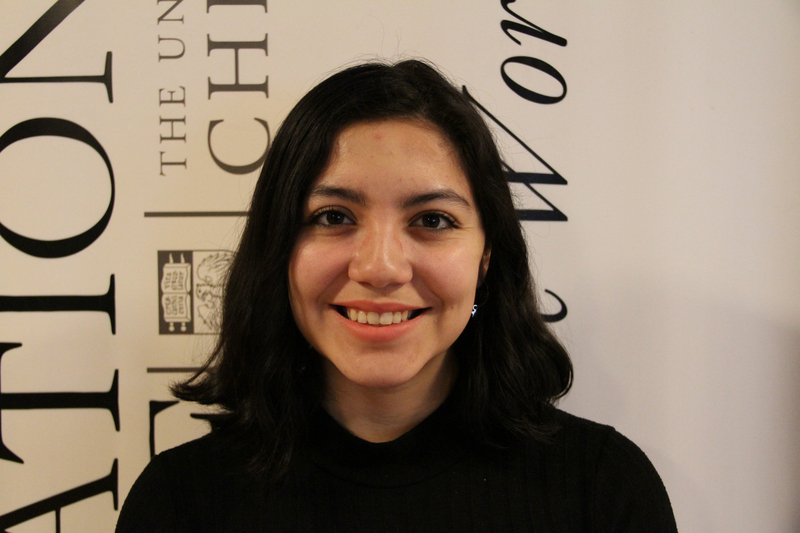 Working with like-minded peers and connecting with Global Voices speakers and performers inspires me deeply, and I am grateful for the chance to serve the UChicago and Hyde Park communities by helping to coordinate engaging and thought-provoking events." 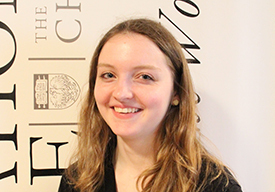 Renee Wehrle is a second-year in the College living in International House. She is from Omaha, Nebraska and is pursuing a major in English. Renee serves on the Communications team for the Global Voices Program and staffs events. 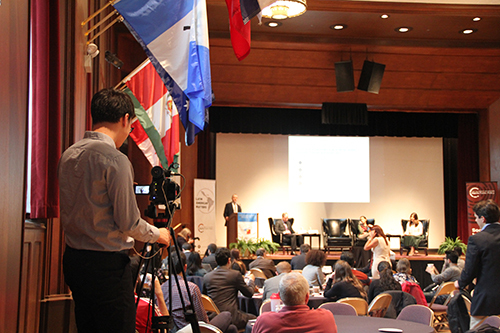 A Global Voices Metcalf Intern films a policy forum.